Colin Farrell as Douglas "Doug" Quaid/Carl Hauser, a factory worker suffering from strange violent dreams. 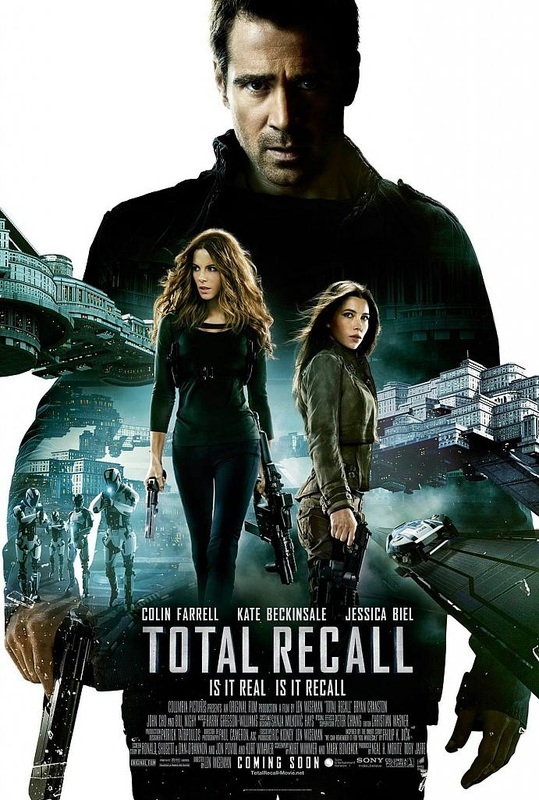 Kate Beckinsale as Lori, a UFB undercover agent posing as Quaid's wife. Jessica Biel as Melina, a member of the Resistance and Quaid/Hauser's love interest. Total Recall Movie Prop Peplicas, Figures, Toys and Collectibles! From the Manufacturer: To celebrate the theatrical release of the new Sci Fi Blockbuster movie Total Recall, we are very pleased to present our prop replica of the hero blaster used extensively throughout the movie. This amazing replica was molded directly from a screenused blaster to ensure complete accuracy, and comes complete with a green light up LED light under the barrel - just like the original! This Museum Quality prop replica is constructed from heavyweight polystone and then hand painted to the finest detail. 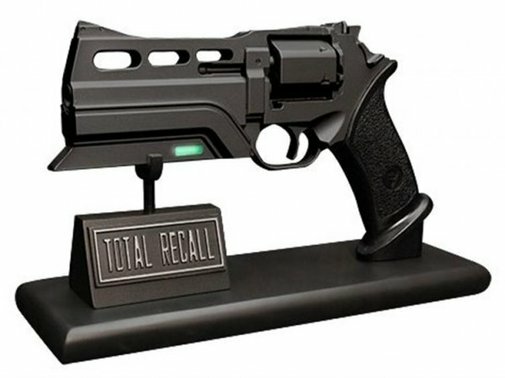 The blaster is approx 10" long and comes complete with display stand with Total Recall nameplate. The Total Recall movie comes to life in amazing proportion with this life-size statue of the Synth! The Synths (Synthetics) are the relentless, emotionless enforcers of the USBs dystopian society - their robotic Federal Rapid Response Units. This absolutely incredible Total Recall White Synth Life-Size Statue is simply jaw-dropping. A life-size version of one of Total Recall's main antagonists, this statue of the Synth stands an imposing 6-foot 6-inches tall, and features a high level of intricate detail to be an exact replica of the on-screen Synth. A limited edition of 25 pieces. The Synths (Synthetics) are the relentless, emotionless enforcers of the USBs dystopian society - their robotic Federal Rapid Response Units. 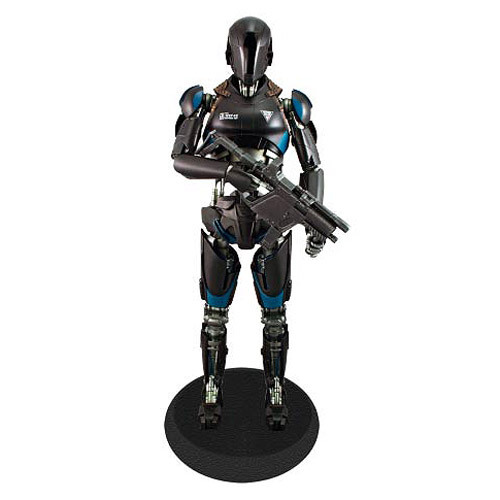 This absolutely incredible Total Recall Black Synth Life-Size Statue is simply jaw-dropping. A life-size version of one of Total Recall's main antagonists, this statue of the Synth stands an imposing 6-foot 6-inches tall, and features a high level of intricate detail to be an exact replica of the on-screen Synth. A limited edition of 25 pieces. 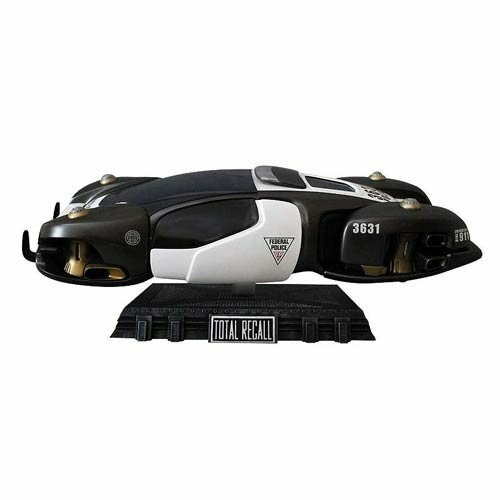 From Hollywood Collectibles, this fantastic replica showcases the flying police car from the visually stunning Total Recall film. The Total Recall Flying Police Car Replica Statue features the cop vehicle seen prominently throughout the movie in numerous exciting car chases as Quaid tries to evade the forces of the USB's Federal Police. Measuring 20-inches long, this large-scale museum-quality replica is a limited edition of just 500 pieces constructed from heavyweight polystone and mixed media, individually hand painted in beautiful detail. 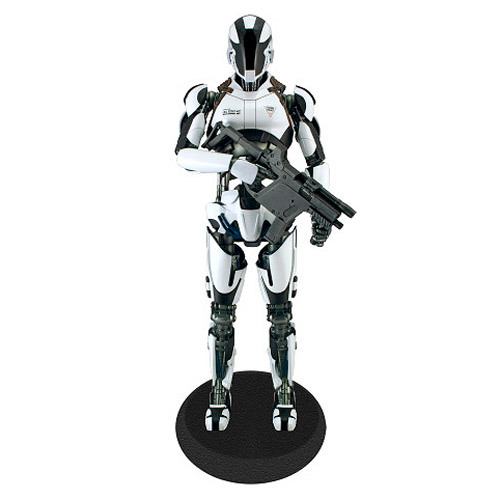 A must for the die-hard sci-fi fan's collection, it includes a movie-themed display base.